Get involved at Schweiger Ranch and become a volunteer today. 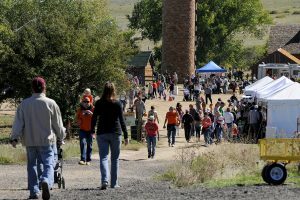 Become a part of the Schweiger Ranch Volunteer Team and help preserve and bring to life a piece of Douglas County history. Schweiger Ranch volunteers are a critical part of our organization, and help further our mission: TO PROVIDE DIVERSE, RECREATIONAL AND EDUCATIONAL OPPORTUNITIES TO FOSTER AN UNDERSTANDING AND ENJOYMENT OF THE AREA’S CULTURAL AND NATURAL HERITAGE THROUGH DISPLAYS, DEMONSTRATIONS, INTERPRETIVE PROGRAMS AND SPECIAL EVENTS FOR THE GREATER COMMUNITY. 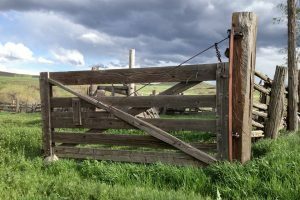 Volunteers are engaged in preserving and sharing Schweiger Ranch’s unique story. We offer many ways to be involved, from monthly, weekly, daily, occasional or one-time help. Current opportunities are listed below and training is provided if applicable. Our volunteer application process consists of an online application, liability waiver, background check (18 yrs & older) and applicable training if required. The cost of the background check is $24. Once the application process has been completed, our volunteer coordinator will work with you to find the perfect assignment on a one-time or ongoing basis. Click here to get started today! Love animals? Our animal husbandry is growing. 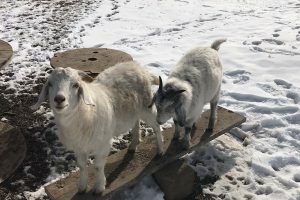 Volunteers assist with the feeding and care of our goats, chickens and peacock. Responsibilities include feeding, providing fresh water, grooming and general care of the animals. Daily, weekly or monthly opportunities available for mornings and afternoons. General volunteers are needed to help facilitate education and special events throughout the year. Opportunities include event planning, IT/social media, greeters, visitor counters, setup, tear down, refreshments, campfire attendants, parking attendants, line attendants, etc. Shifts vary by event and are typically in 2-hour increments. Schweiger Ranch is open to the public for self-guided tours on the 3rd Saturday of every month. 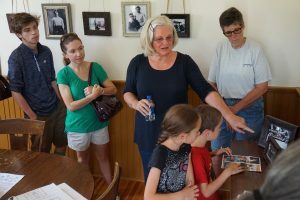 We are looking for friendly and enthusiastic volunteers to greet visitors to Schweiger Ranch, provide literature and general directions on the property. Opportunities are available from 1-3 pm or 3-5 pm. Enjoy the Colorado sunshine and lend a hand preserving and caring for the Ranch. Opportunities available for general clean-up, repairs and maintenance, weed mitigation, mowing, barn clean-out, chicken coop clean-out, inside cleaning of the historic house. Cleanup days are scheduled on the 3rd Saturday of each month from 1-5pm. Repair & maintenance opportunities are also available outside of clean-up days. Do you enjoy dressing up and showing off your crafting, butter-churning, blacksmith or ranching skills? 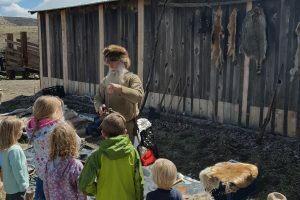 Demonstrations provide a glimpse into the 19th-century rural life on a ranch as well as provide hands-on experience for visitors during educational and special events. 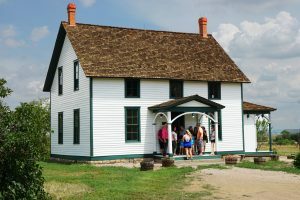 Tell the story of Schweiger Ranch and guide visitors through the living history museum and buildings. Tour Guides are needed for our education and special events throughout the year. Are you interested in volunteering in an area not listed or have a volunteer question? Email to Tamra for more information or click here to begin the application process.